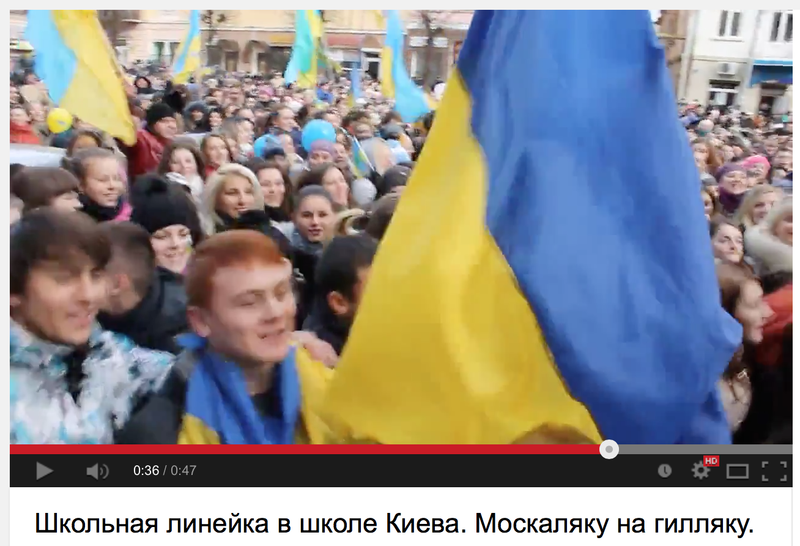 This is allegedly a video of schoolchildren participating in a political rally a day or two ago in Kyiv. 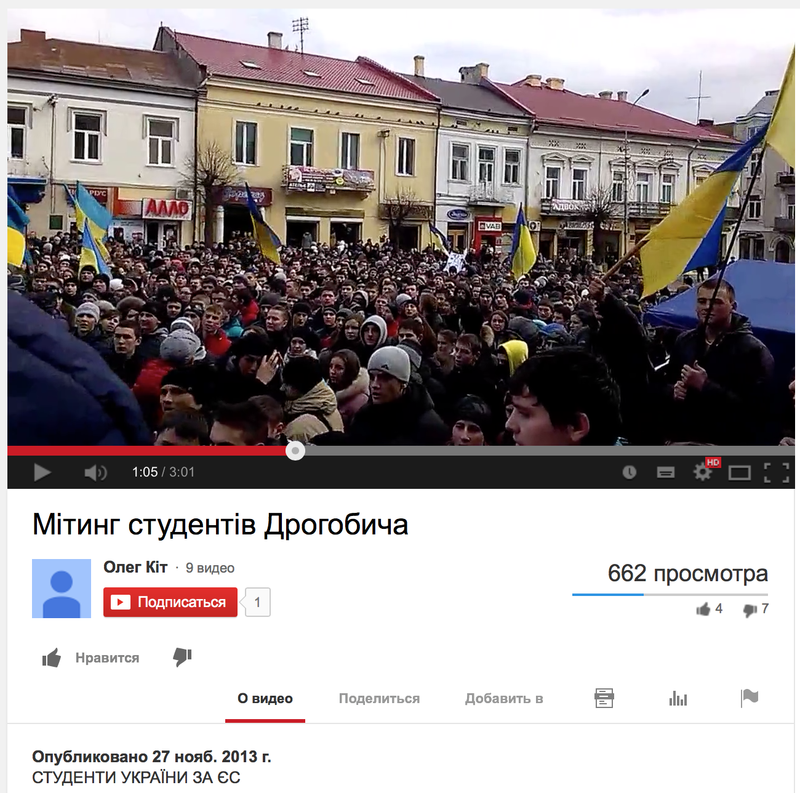 Some juggling with facts, and suddenly a students’ rally in Drogobych turns into a rally of schoolchildren in Kyiv, and the video is widely spread all over the Internet (especially its Russian part) as proof of all the “terrible things” in post-revolutionary Kyiv. The conclusions, as usual, are up to you. UPD: This is a hot topic at the moment, and our team would like to emphasize once more: we are not trying to justify the events shown or make any judgment about them. We are simply providing another example that illustrates how facts are being twisted and worsening the situation by those involved in the information warfare. Also, the way our readers are reacting gives us strong reason to believe that this is a very good choice of a “newsworthy event” to be exposed to public opinion.